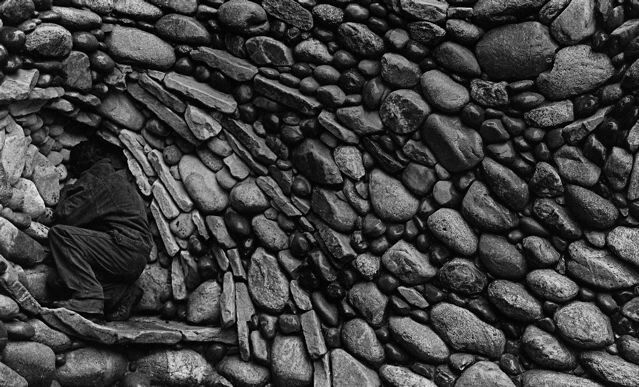 It’s not very difficult to see why Michael Eckerman and his stonework is loved by the surfing community, building stone features for many of the great surfers, and even getting featured in The Surfer's Journal back in 2007. 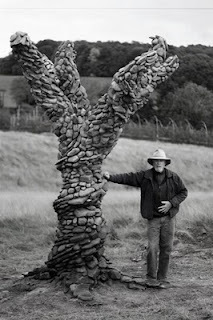 Bored with traditional stonework, Micheal’s creative nature has led him away from traditional design. 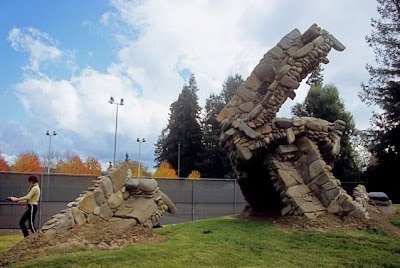 Attracted by the flowing aspects of tectonic upheavals of lava flows that he observed in his travels, he began forming his own signature style of stonework, a style heavily influenced by these lava flows, as well as the movement of wind and water. Hailing from Santa Cruz, California, Michael Eckerman has been forming his own signature style of stonework since the 1970’s. Forty years of building with stone has allowed him to expand his imagination and develop the free flowing type of stonework that he is known for today. Like many ‘stonies’ Michael isn’t quite sure how he got into stonemasonry. 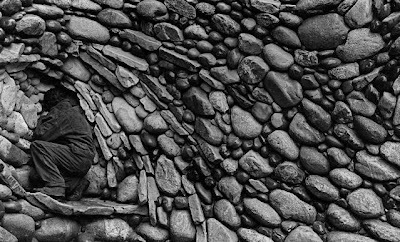 There was no apprenticeship as such, although he learned much about what makes stonework strong and the principles of structural integrity while collaborating with an influential builder from the ’60s and ’70s, called Ken Kern. He also recalls one of his first building ventures being a cabin he built with a friend in Quebec back in 69. 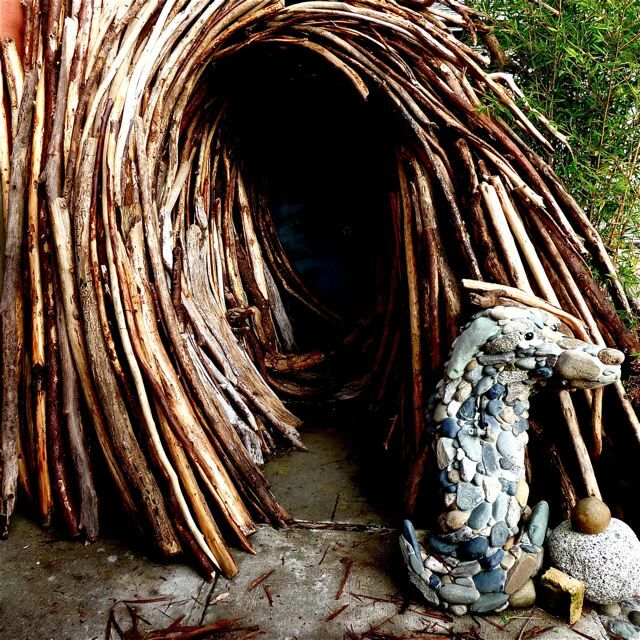 Even from the magical entrance to Michael’s home (a fantastic combination of stone and driftwood that seems to flow so naturally and playfully), it is clear that this is a home that lives and breathes art. And not only by Michael’s hand, for here creativity is a family business. 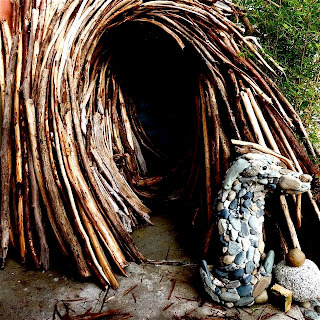 Micheal’s wife Karen is an arborist, while his younger son Wes explores his creativity through photography and his older son Ea Eckerman expresses his creativity through both graphic art as well as sculpture. 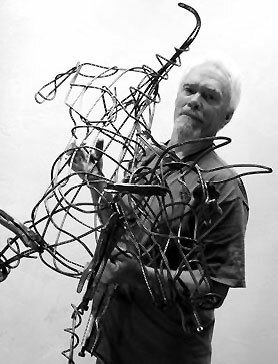 In the article by The Surfer's Journal, Michael tells a bit about the creative process of his work. 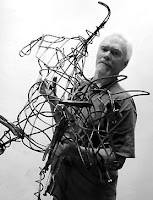 "Each project is different, but the forms come through with a similar telegraphing message: flowing harmony. 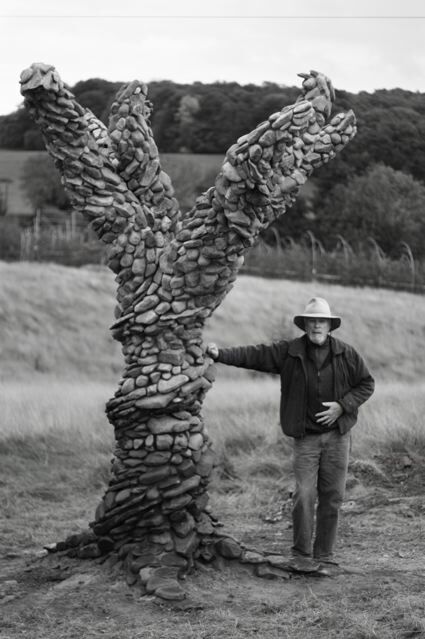 The stone suggests its form, he says. There’s not a lot of planning in his projects, no detailed drawings, maybe some chalk lines sketched on a wall. A flagstone forms a bench in a barrel. A helix has two platforms on opposite sides of the spiral—one for you, another for your sweetie. In addition to stone, Michael accents much of his work with other materials, like brick, tile, glass, ceramics and metal. 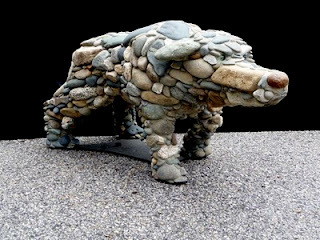 Micheal is currently working on a series of stone dog sculptures. It is interesting to see him use these same flowing stonemasonry techniques in a new more miniature and intricate way. Michael has a vast and fantastic portfolio of work, so I suggest you check out his website www.eckermanstudios.com/ if you would like to see more. I have not even mentioned his absolutely stunning fireplaces and chimney stacks, so impressive in fact that they justify a blog post of their very own, which I will post later on in the year. 2010 Artist Bio written by Michael's daughter Rosie. You really find some amazing artists to profile. I am always dragging my husband into the room to see the photos. I love stones and have collected them from all over the world. Seeing them used so creatively is a treat. These are so amazing. I wish that I could afford to have several of them in my garden. Especially the water effect, looks like the surf here in Barbados. 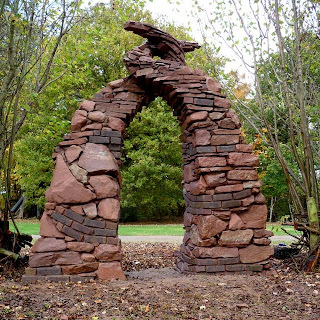 The stone work is amazing and almost unworldly. 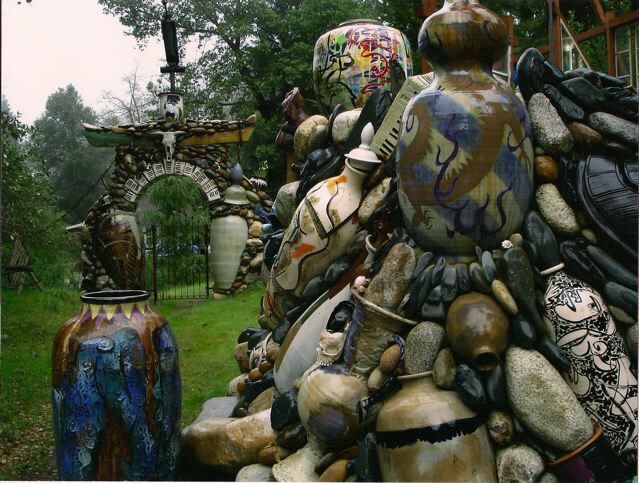 Michael Eckerman creations seems to defy gravity. I especially love the wave wall. I only noticed on the last picture, with a man for scale, quite how large tall wide that wall is!! Sunny - once again you've brought us another artisan we might never have know without you sharing. Lebury Arch strikes me most, but I couldn't call out a 'favorite'. So cool!! Thanks! 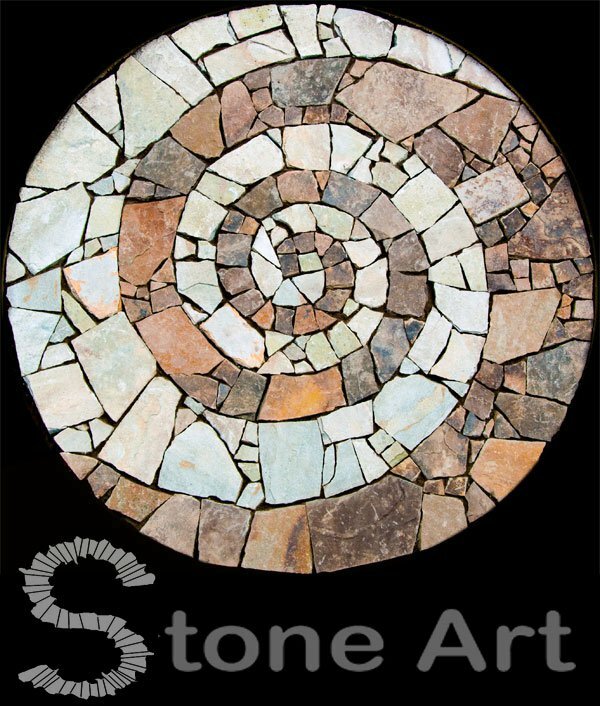 I never get tired of looking at Michaels beautiful stone work and sculptures. Thank you for posting his work as well as the other artists. Not often do pics raise me from my seat!!! Showing my contractor these pics TODAY. These are amazing works of art. Thanks for sharing. BTW - congratulations on the "Top 5" list on Blotanical! Well deserved! 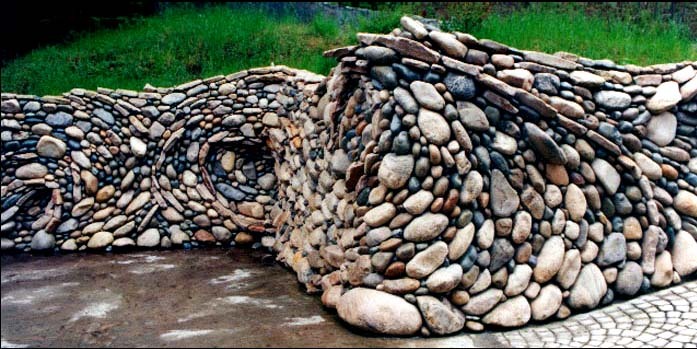 Amazing stoneworks. 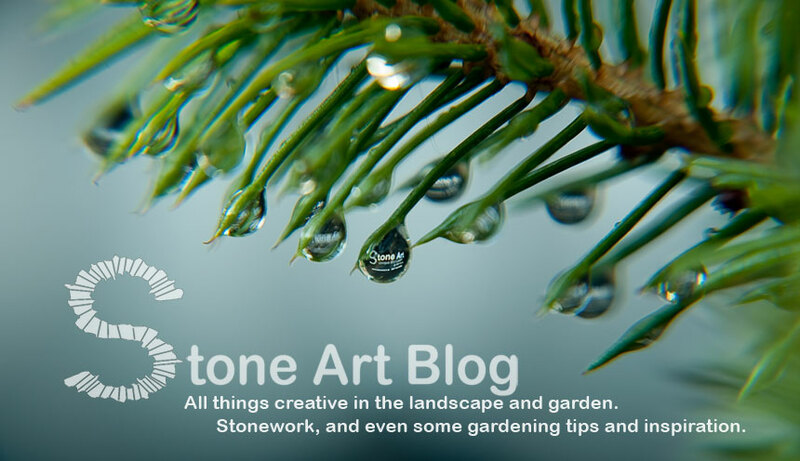 These are the true stonescapes. Absolutely awesome. 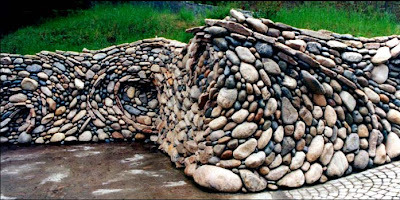 Astonishing stone work indeed. Love it.